The kings of club-core and the “Blackout” barons, a.k.a Breathe Carolina, are back and thrashing their way through every house party and dance floor with their brawny Bangers Mixtape. The three-track effort is the first offering of new music since their 2012 re-release of Hell Is What You Make It, one of the best and most underrated dance albums of 2011. Those familiar with HIWYMI as a whole know what makes it so great, the grinding synth keys that slice through Kyle’s hair-raising, guttural roars, the ice-cold dub drops slithering underneath’s David’s slick singing. The core of that sound is very much present in Bangers, but tailored a bit more towards the summer, slightly in the vein of their 2009 album Hello Fascination. It’s a bit brighter, a bit more upbeat, and it’s a true testament to how Breathe Carolina are constantly re-emerging with stronger, punchier pop paradigms. “Mistakes” serves as the first third of the Bangers Mixtape and is an absolute party anthem, maybe even more so than their massive top 40 hit “Blackout.” Driven by a squiggly synth line, David ricochets in with his hip-swaying hooks, leading the thundering percussion and stuttering dubstep-styled keys. Faded and letting lose, David and Kyle jump right into the fist pumping pre-chorus, and the rowdy choir supports David and Kyle’s showstopping line “gonna make mistakes, they’re ours to make.” “Mistakes” portrays the chaos of a full-blown party and the vivacity of a bunch of drunk kids living it up. It’s an absolutely pristine pop record, and definitely is strong enough to be an album single. Next is “Riot,” a surprisingly emotive song with a sound that belies its title. Here we’re introduced to the more poetic side of Breathe Carolina, as David and Kyle intertwine inspirational lyrics around the hazy house production. Lines such as “tonight, we’re gonna paint the sky” and “let’s start a riot tonight,” convey the kind of pain that accompanies the lost and lonely youth. 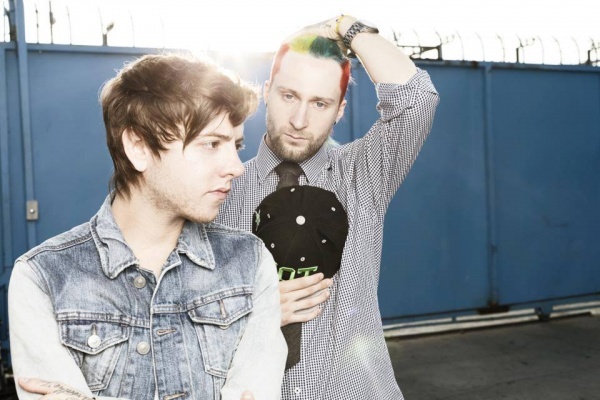 The sweeping chorus and stark melodies touch upon a facet of Breathe Carolina that’s been seen before in tracks such as “Gone So Long,” and “Reaching For The Floor.” “Riot” could easily be the sequel to “Mistakes,” as the fun and ferocious partying gives way to loud, inebriated introspection. The third and final part of the Bangers trilogy, “Skeletons,” could be considered the morning after the party, building the emotional nature of “Riot” into a sad and sweet love song. David opens himself up to his lover, crooning “skeletons in my room, I laid them all out for you, second thoughts will be the death of us, and I don’t want the death of us,” before a symphony of synths rises around him, catapulting the track into the exhilarating chorus, where Kyle’s lion-like roar bolsters the strength and intensity of the hook. It’s age-old struggle of courtship and love, as David yearns desperately, “can I change your mind?” It’s also a pile-driving pop anthem and a great way to end out the mixtape. The Bangers Mixtape may satisfy Breathe Carolina’s fans and quench their thirst for new music, but it also adds an even more poignant hunger for their upcoming album. Download the mixtape FOR FREE by clicking the link below, and support one of the best pop bands in modern music. DOWNLOAD THE BANGERS MIXTAPE BY CLICKING HERE!